Great location for this full amenity luxury apartment!! Located on Baring Street at 40th Street there are over 100 student apartments on this block alone. Drexel Security drives by hourly, Drexel Shuttle 1 block away, this building is close to everything you need including transportation, easy parking, grocery stores, movie theatre, convenience stores, art galleries, bars, restaurants, and of course Drexel and UPENN campus. Beautiful New Luxury 4 bedroom 2 bathroom incredibly HUGE bi-level apartment filled with all the amenities youd expect at home. New kitchen with great all wood cabinets, stainless steel full size appliances including dishwasher and full size refrigerator. Beautiful hardwood floors grace the main floor which includes a huge kitchen and living room, 2 very large bedrooms, a large bathroom, and access to the private backyard space. This apartment has central air and heat and separate laundry room with full size washer and dryer. The 2nd floor of living space offers another HUGE living room, laundry room, large bathroom and 2 HUGE bedrooms. 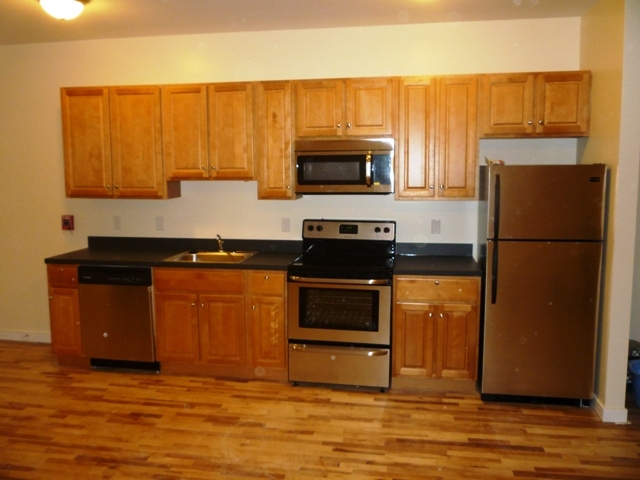 You will not find a larger 4 bedroom 2 bathroom apartment for this price. Unit Boasts: New full size stainless steel appliances Dishwasher Full size stove Refrigerator Microwave Tons of cabinet space Tall ceilings Central air and heat Private outdoor patio Great closet space Natural light 2 HUGE living rooms Spacious bedrooms Secure building Intercom system Alarm system Large clean laundry room Student only population These are must see units with everything you have been looking for.